The objectives of the lab include the detailed study of ancient cities and sanctuaries using modern methodologies and techniques including digital cartography, GIS, spatial analysis and remote sensing. The lab is project based and there are a number of archaeological projects underway working from the lab. Although many are based in the Mediterranean, the methodologies are applicable to sites around the world. The Argonaut Archaeological Research Fund (AARF) is a privately endowed research program focused on understanding the earliest peopling of the Greater Southwest. This field-based endeavor deals primary with Paleoindian archaeology and geoarchaeology in New Mexico, Arizona, far western Texas, southern California, and in Mexico, northern Sonora and Chihuahua. AARF deals with all aspects of Paleoindian archaeology in the region, but is particularly focused on the earliest classical Paleoindian occupations (Clovis and Folsom) and evidence for any earlier human presence in the region. Most of the AARF lab work is focused on soil and sediment analysis for dating and paleoenvironmental reconstruction. This work is carried out in the AARF Geoarchaeology Lab, Department of Geosciences, Gould-Simpson 132. The Arizona Canine Cognition Center (ACCC) conducts research on the minds and behavior of dogs, as well as dog-human interaction. Our cognitive studies embrace a comparative perspective for understanding what makes human cognition unique, and complement the MacLean Lab's broader research program on animal cognition and cognitive evolution. 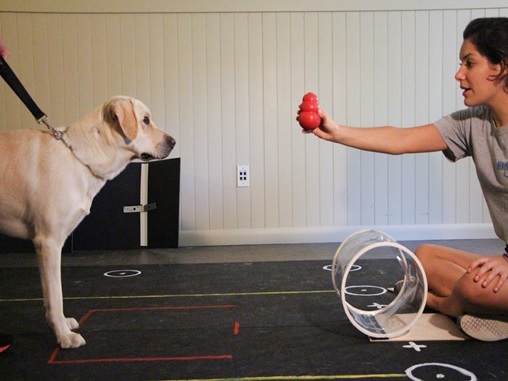 Studies at the ACCC are open to local dog owners who bring their canine companions to campus to participate in tests, which are designed as fun problem-solving games for dogs. 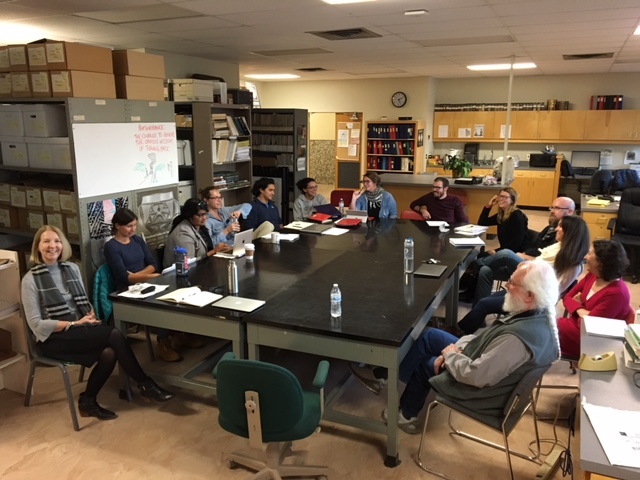 The Complex Societies Laboratory houses some of the Mesoamerican ceramic type collections, and provides research and workspace for faculty and graduate students working with complex societies, with an emphasis on Mesoamerica. 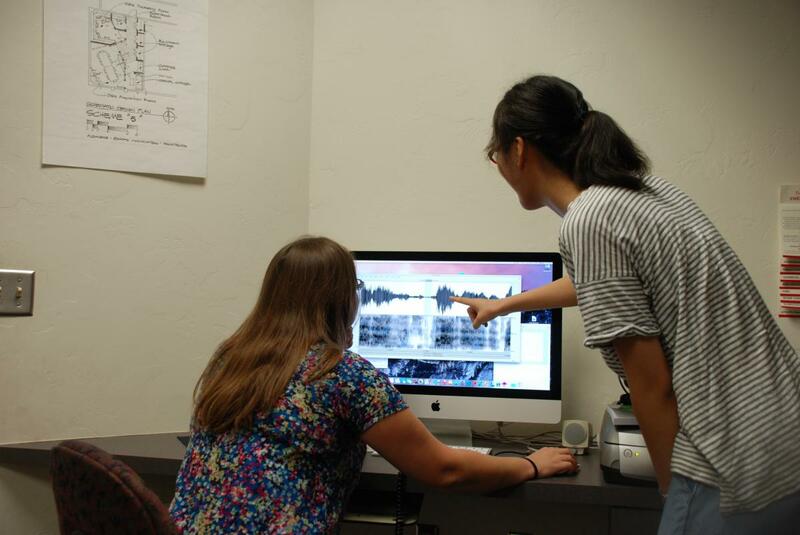 Our Linguistic Anthropology Laboratory is a dynamic research space providing faculty, graduate students, and undergraduates with state-of-the-art multimedia recording equipment, private experimental facilities, data storage, analytical software, and digitization capability. It serves as a venue for teaching, linguistic anthropology lab meetings, video recordings, and language-related research. Our research program has three main components: 1) Reconstructing activity levels during human evolution (evolutionary biomechanics); 2) Exploring energetics and physical activity levels in extant taxa, including human hunter-gatherers’ 3) Linking the evolution of high physical activity levels to physiology, neurobiology, and health in extant humans. 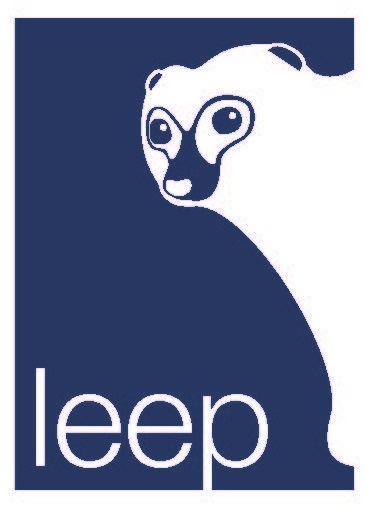 LEEP is an endocrinology lab that specializes in developing assays and measuring hormones in human and non-human primates. We use samples collected noninvasively in the natural habitat, to answer questions related to understanding human behavior and physiology. We also provide services for the broader research community at the University of Arizona and beyond. The Laboratory for Traditional Technology focuses on the study of traditional technologies (both in antiquity and in recent times) primarily through experimental archaeology. Major areas of research are ceramics and metallurgy. The lab has a fully-functioning ceramic studio as well as equipment for processing metallurgical samples. It houses graduate students as long-term interns and short-term visitors. 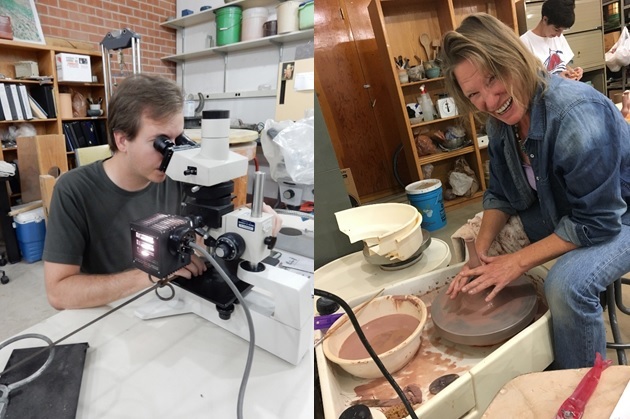 Currently the lab offers ceramic instruction through the LTT Resident Ceramics Instructor and hosts a number of lectures throughout the academic year. The LOAA is currently the seat of several ongoing research projects. The Kutoyis Archaeological project is a multi-year scientific collaboration with the Blackfeet Tribe of Montana and involves more than 150 boxes of artifacts on loan from the Tribe. The St. Mary River Bridge Archaeological Project, a three-year scientific collaboration with Glacier National Park, the Blackfeet Tribe, and the Confederated Salish and Kootenai Nation, involves a collection on loan from the National Park Service. Yet another collaboration with the Blackfeet Tribe is the Highway 89 Expansion Project, which also involves the Montana Department of Transportation. MDOT is funding three independent archaeological and ethnographic projects with the LOAA. Finally, there is the Blackfoot Traditional Land Use Study, funded by the Blood (Kainai) Tribe of Alberta, Canada. 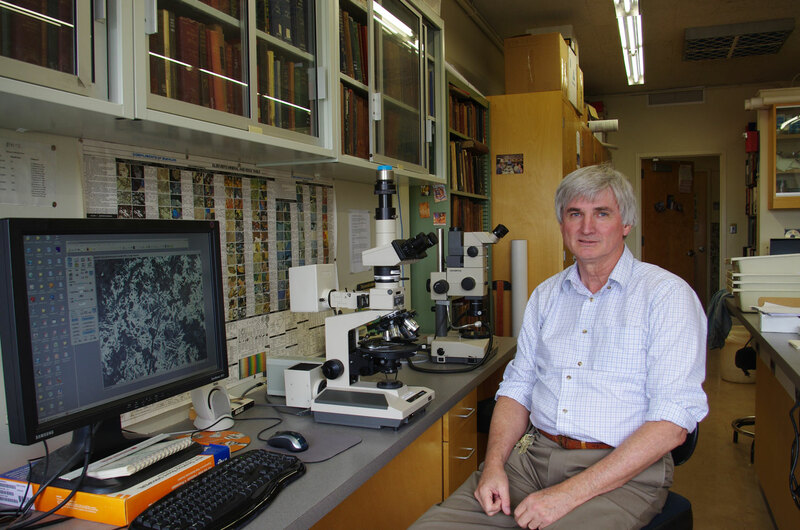 The Southwest Archaeology Laboratory conducts field and laboratory projects in the greater Southwest under the direction of Dr. T. J. Ferguson, Dr. Barbara J. Mills, and Dr. Lindsay Montgomery. 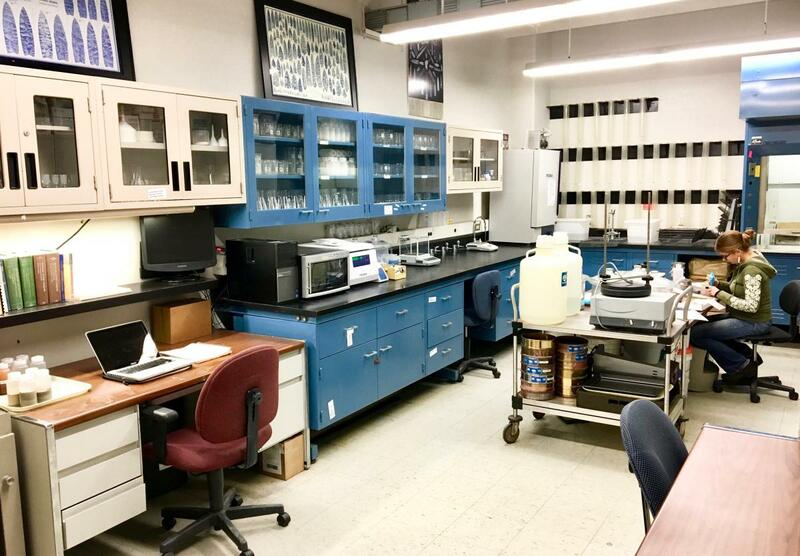 The lab contains microscopes, scales, a kiln, and other equipment for ceramic and other artifact analyses, and comparative collections including ceramics, lithics, and ethnobotanical materials. Computers are equipped with ArcGIS, social network analysis, and statistical software. Current projects include the Southwest Social Networks Project (NSF-funded, Mills PI), the Linking Hispanic Heritage through Archaeology Project (NPS-funded, Mills PI), Organ Pipe Cactus National Monument Trails Survey (NPS-funded, Ferguson PI), Apache Oral History at Fort Bowie and Chiricahua (NPS-funded, Ferguson PI), and Nomadic Archaeologies in the Northern Rio Grande (Montgomery PI). Work in this laboratory focuses on questions about technology and economics, including processes of animal domestication, from the Paleolithic through recent period in the Old and New Worlds. 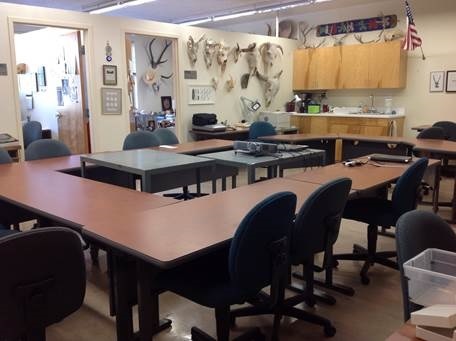 In addition to providing a space for research on stone tool technology, zooarchaeology and early food production, this laboratory is used to train both beginning and advanced students in these topics. A range of faunal and lithic artifact reference collections are housed here. The ASM Bioarchaeology Lab documents the biocultural variation of past peoples of the American Southwest through the documentation, preservation, and repatriation of human skeletal remains from archaeological contexts. Since 1984, the Arizona State Museum’s Homol’ovi Research Program has explored 13th–14th century ancestral Hopi communities and documented the cultural landscape dating back to Clovis, 13,000 years ago, in northeastern Arizona. An enormous artifact assemblage offers students diverse opportunities to gain experience in laboratory analysis or find their own research topics. For more information, contact E. Charles Adams (ecadams@email.arizona.edu) or Richard C. Lange (langer@email.arizona.edu; 621-6275).